Hugh Edward (Eddie) Suggs is a former teacher who, in 2011 experienced a tragic accident that changed his life. A log truck jumped the curb where he was doing yard work and while he survived, he endured bilateral above the knee amputations. 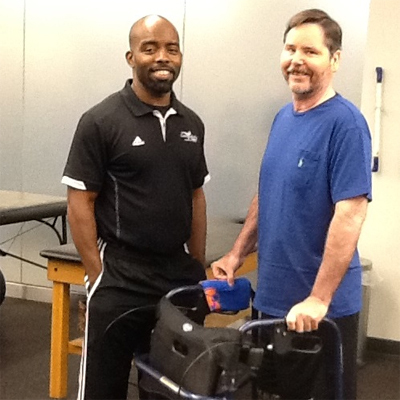 He has since battled his way back through twenty odd surgeries, months in intensive care and now years of therapy that has him walking again with the aide of a walker. He was writing and performing poetry for decades before the accident, but his purpose for writing, voice and material have changed dramatically though after an out of body experience. He hopes his work reflecting on his life experiences can offer encouragement to others faced with trauma. Mr. Suggs shares that he offers his poetry as a way to show readers “that people can move on successfully and offer the world something of value after shame, poverty and severe loss. Every word is important.” His poetry reveals a sense of resilience, courage and strength evolved through years of rising to meet challenges throughout his life, from a childhood of severe poverty working in tobacco and squash fields to enduring the years of rehabilitation after losing both of his legs. He uses words to craft meaning from suffering and offer hope through the healing power of poetry. “Its All Good” is part of a volume of poetry entitled Back On This Side/A Second Chance At Enlightenment (publication, Fall 2016). His first novel Stepping on Cracks is a psychological thriller that deals with the subject of how abuse is creating monsters that walk amongst us. It will be available July 2016. His other book due out this fall, The Inheritance, is told through a collection of vignettes, and is a powerful story about how a Florida farm boy escaped the grip of generations of poverty to become an educator and motivational writer after his death. Veteran poet Hugh Suggs uses his craft to find meaning in suffering and offer hope through..